In radiation therapy, a key step for a successful cancer treatment is image-based treatment planning. One objective of the planning phase is the fast and accurate segmentation of organs at risk and target structures from medical images. However, manual delineation of organs, which is still the gold standard in many clinical environments, is time-consuming and prone to inter-observer variations. Consequently, many automated segmentation methods have been developed. In this work, we train two hierarchical 3D neural networks to segment multiple organs at risk in the head and neck area. First, we train a coarse network on size-reduced medical images to locate the organs of interest. Second, a subsequent fine network on full-resolution images is trained for a final accurate segmentation. The proposed method is purely deep learning based; accordingly, no pre-registration or post-processing is required. The approach has been applied on a publicly available computed tomography dataset, created for the MICCAI 2015 Auto-Segmentation challenge. In an extensive evaluation process, the best configurations for the trained networks have been determined. Compared to the existing methods, the presented approach shows state-of-the-art performance for the segmentation of seven different structures in the head and neck area. We conclude that 3D neural networks outperform the most existing model- and atlas-based methods for the segmentation of organs at risk in the head and neck area. 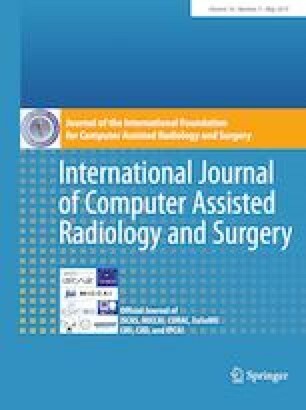 The ease of use, high accuracy and the test time efficiency of the method make it promising for image-based treatment planning in clinical practice. Elias Tappeiner, Samuel Pröll, Markus Hönig, Patrick F. Raudaschl, Paolo Zaffino, Maria F. Spadea, Gregory C. Sharp, Rainer Schubert, Karl Fritscher declare to have no conflict of interest.